It's exciting just looking at it! Inflatable rentals in Akron, Canton and Cleveland Ohio. The Adrenaline Rush 2 is an excellent inflatable rental activity for large groups. You can get a high volume of people through in a short amount of time. The Adrenaline Rush is one of our most popular inflatable rentals for our customers. 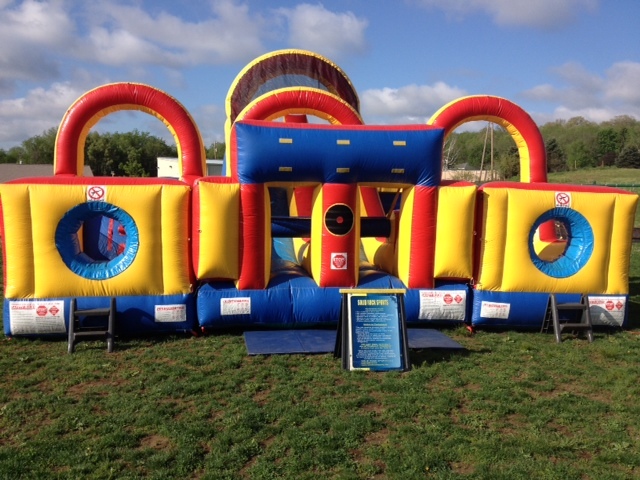 The reason many clients return again and again to rent this inflatable obstacle course is for the combination of challenge & competition. 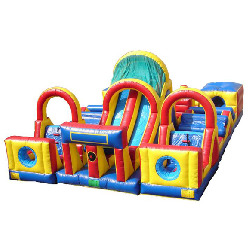 Another key reason for its popularity is that the Adrenaline Rush obstacle course is fun for a broad AGE-range. Young elementary students, High School After Proms, College Parties & even Corporate events (Company Picnics, Team Building, etc…).